Enter this locker code in NBA 2K15 to receive the free 500 VC reward. Available for PlayStation 4, Xbox One and PC. A confirmation message will appear once you have entered the code correctly, saying that you won 500 virtual currency! Your balance has been adjusted. Happy spending! NBA 2K15 Locker Code: "parkswag"
With new locker codes every week, be sure to come back and receive free virtual currency in NBA 2K15. 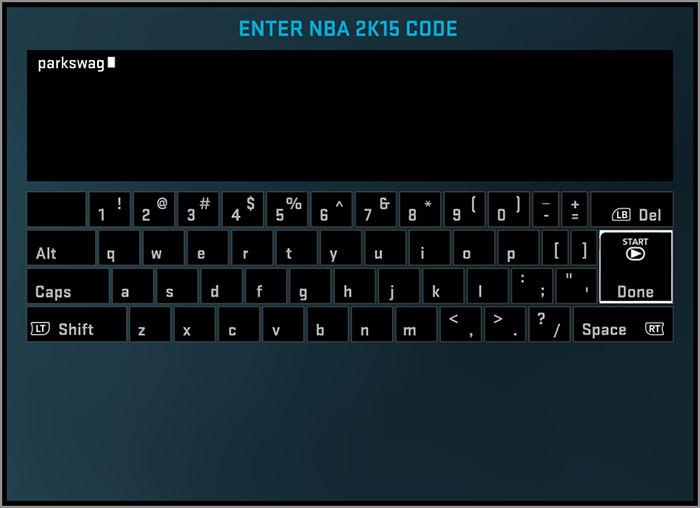 More NBA 2K15 locker codes.